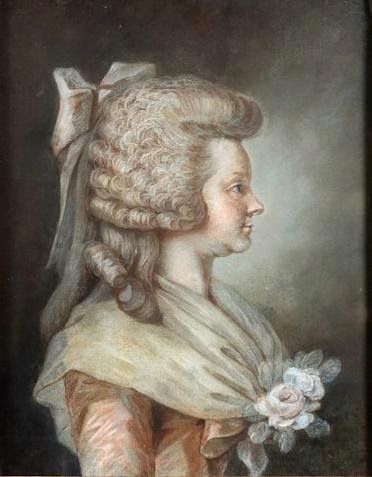 Here are two portraits of the princesse de Lamballe which were sold as part of the Paul Rousseau collection auctioned in Toulon on 24th March 2012. Both are described by Olivier Blanc in his chapter on the Princess in Portraits de femmes (2006). Engraving by Ruotte dated 1791. Lot 46: Pastel portrait attributed to Henri Pierre Danloux. 40cm x 32cm., Monogrammed "Dx" and dated 1789. This painting is also reproduced by Olivier Blanc (p.203). 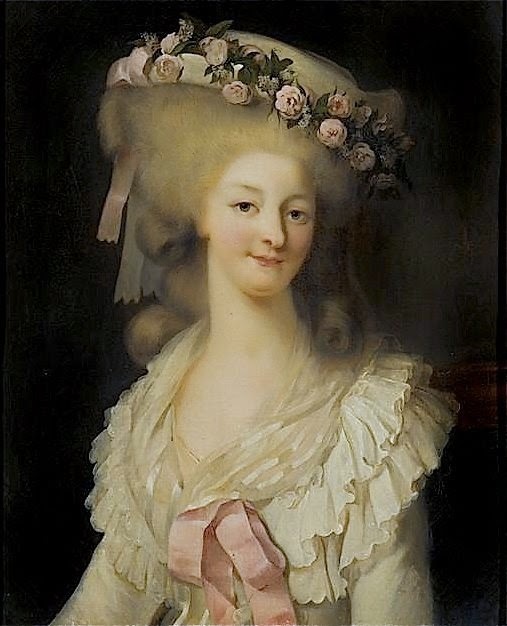 It depicts an older, plumper Princess with a striking short wig "en hérisson" worn over her long blond hair. 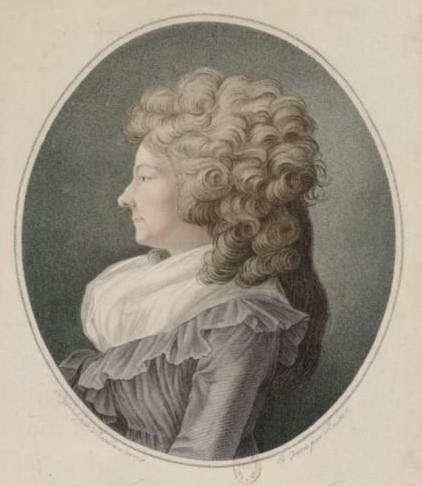 Compare this coloured engraving of 1791 by Louis-Charles Ruotte, after a profile by Danloux (whether this pastel or another similar). 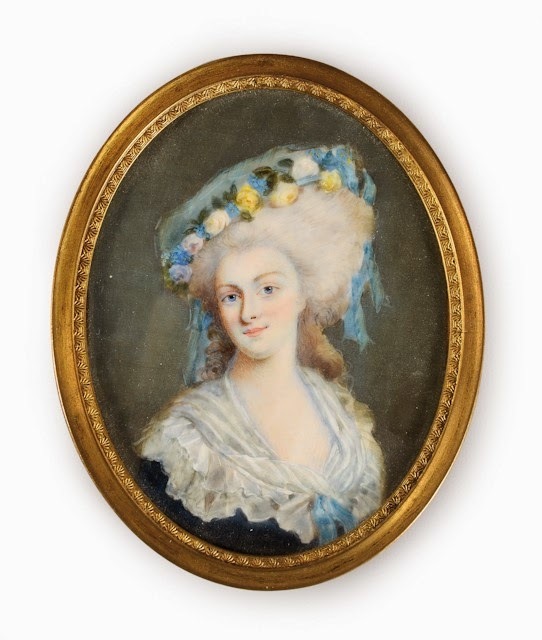 Lot 47: Miniature after a lost portrait of 1776 by Hubert Drouais. 10cm x 7.5 cm. This miniature is a Restoration copy of a lost painting by Drouais, which depicted the Princess full-length in a hooped dress and straw hat with flowers, with pearl bracelets and a closed fan. There are also several high-quality engravings. Hôtel des Ventes de Toulon, Sale of 24th March 2012: "Historical souvenirs of the French Revolution"
Entry on Joconde for the Rioult portrait. Both the pastel and the engraving look to me as if based on physionotraces. They must have been widely used as studio tools by a number of artists in this period: there's a big vogue for profiles (not flattering ones, either! ).